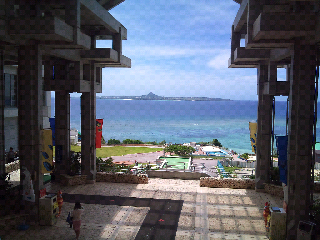 Every time I go to Okinawa, a typhoon decides to meet me there. I must be the stormbringer. Worst case scenario, we won't be able to do any fieldwork in Ishigaki. Today, we are at the Churaumi Aquarium. From 2:30pm, we will go to Cape Bise to skin-dive.